Representatives from international and local Chinese companies, industry chambers and academic institutions gathered this week to participate at the launch of the International Chamber of Commerce (ICC) China Commission on Marketing and Advertising. The commission met for the first time on 21 January 2015, at ICC China’s headquarters located in the China Chamber of International Commerce Building in Beijing. The event was attended by over 30 members, encompassing a range of stakeholder groups including local and international companies, industry chambers, academic institutions and other related organizations. Raelene Martin, Assistant Policy Manager of the ICC Commission on Marketing and Advertising, said: “ICC welcomes the inauguration of ICC China’s Commission on Marketing and Advertising as a positive step forward for the commission to engage in working with industry and other key stakeholders to help advocate the benefits of advertising self-regulation. Members of the commission were presented with key aspects of the ICC Code, a set of standards for advertising and marketing serving as the foundation for the national and sectorial codes of most self-regulatory systems existing today.Discussions were held on how these principles can be applied locally to address current issues being faced in the industry in China. ICC China’s Commission on Marketing and Advertising will play a key role in providing valuable contributions to the development and process of writing global rules to address advertising and marketing policy related issues. Shunjie Lin, Secretary General of ICC China, called on the founding members to consider the commission work as an exclusive right rather than an obligation. As one of ICC’s most active national committees, ICC China will provide a platform for commission members to meet with world industrial leaders to exchange ideas and learn best practices from each other. ICC welcomes this new initiative as a positive step forward for the commission to engage in working with industry and other key stakeholders to help advocate the benefits of advertising self-regulation. In a letter to Mr Lin, ICC Secretary General John Danilovich praised ICC China for this important development and underlined the Commission’s esteemed contribution to ICC’s global network. The establishment of ICC China’s Commission on Marketing and Advertising arises at a pivotal moment with the recent endorsement by APEC economic leaders of the APEC Action Agenda on Advertising Standards and Practice Development to promote the alignment of advertising standards and reduce the cost of doing business across the region. The ICC China committee will play an integral role in building on this initiative, particularly at a time when the China Advertising Law is being revised. Just last week ICC China’s Committee organized its first meeting with National People’s Congress (NPC) to discuss protection of children in the proposed revisions to the China Advertising Law. 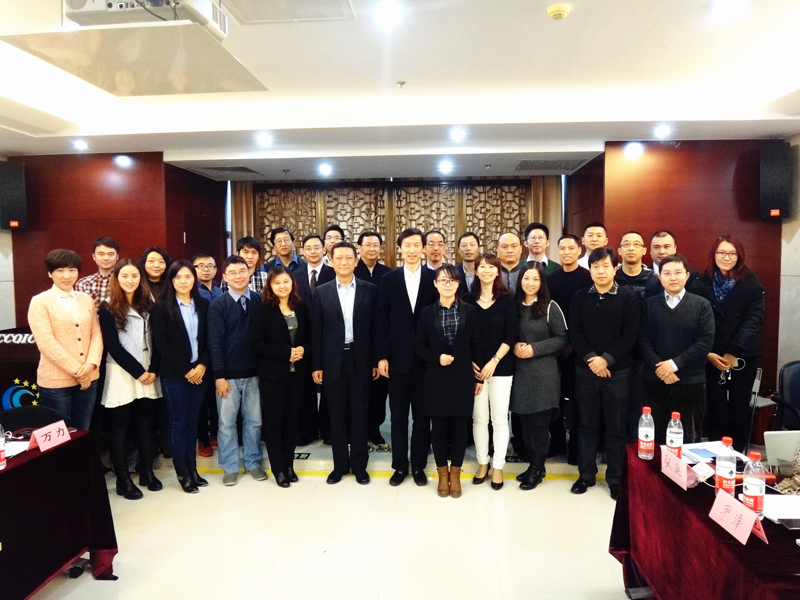 The meeting was attended together with the China Association of National Advertisers, the most active industry chamber in China, with a view to gaining a better understanding of the law as well expressing and protecting members’ interests. “We congratulate ICC China for this significant development and believe that after the successful launch of the first official Mandarin translation of the ICC Code in Beijing last year, the new commission is well placed to strengthen the collaboration with industry stakeholders. It will facilitate further cooperation to advocate the benefits of advertising self-regulation and promote responsible marketing practices in China,” said Brent Sanders, Chair of the ICC Commission on Marketing and Advertising and Assistant General Counsel, Microsoft Corporation. The ICC Commission on Marketing and Advertising convenes twice a year and examines major marketing- and advertising-related policy issues of interest to world business. ICC China’s Commission on Marketing Advertising’s involvement in ICC’s global work will provide a solid voice from the APEC region. Download the Consolidated ICC Code of Marketing Practice.